Well, after a lot of trial and tribulation with my new Iwata airbrushes (I'm now getting the hang of it again) I can reveal the result of my labours in the finished model. 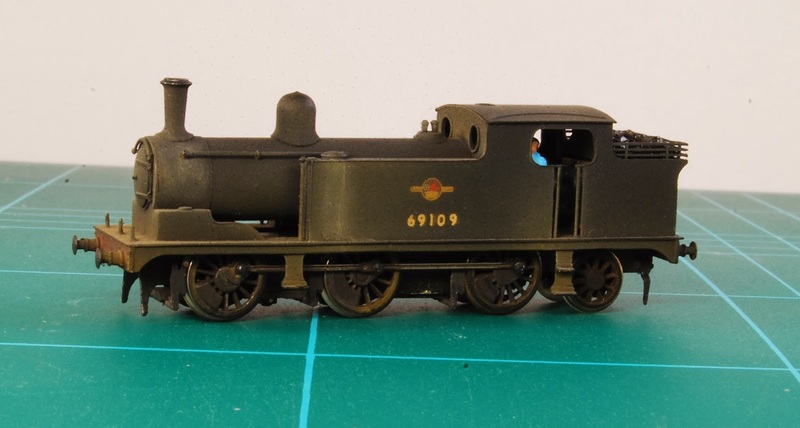 There is also a first - but I'll leave onlookers to fester for a little while and see if anyone can guess and pass comment on what exactly I have done here that I've never done before in a locomotive build. You may have to look carefully...! I'll put you all out of your misery in a week or two if nobody has got it................! Enough of this....! Here's the result; the completed and lightly weathered 69109. I acknowledge assistance from Tim Shackleton when he visits the NEAG meetings to show us all how to administer the effects of time, weather and use on our models in a bid to have them more closely represent the real thing. 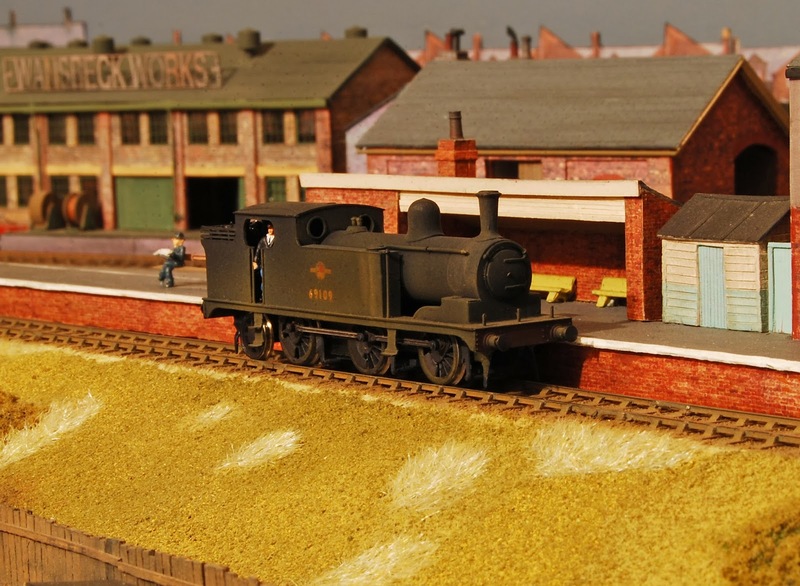 Also, a shot on the layout running light engine through Wansbeck Road. Your first loco (or DMU) with a driver!